Stay informed on the latest happenings at miniOrange! First release of OAuth Server for Drupal 7 and Drupal 8.This module is to allow users to interact with Drupal and Jetpack sites like Google, Facebook, AWS Cognito, Azure AD, Salesforce and many more without requiring them to store sensitive credentials. First release of Joomla OAuth Server. OAuth server/OAuth Provider plugin is to allow users to interact with Joomla sites without requiring them to store sensitive credentials. This plugin is free to use under the GNU/GPLv3 license. First release of the Crowd SSO Connector for JIRA, Confluence, Bitbucket and Bamboo add-on. Released a new version of our On-Premise IDP with newer features and improvements in some flaws. Released a new version with support for Cognito, Slack, Azure AD, OneLogin, Strava, FitBit, Discord, Clever, WHMCS, GitHub, Okta, LinkdIn, Box, Bitrix24, GitLab, PayPal, Yahoo, ADFS, Spotify, Vkontakte, Pinterest, Reddit, Vimeo, DevianArt, Dailymotion, Salesforce, Gigya, Amazon, Invision Community, HR Answerlink providers along with its setup guides. Released version 1.1.0 with support for Jira Service Desk. 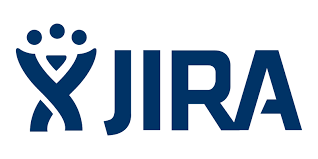 User can login into Jira Service Desk using Single Sign on miniOrange add-on. Also, added OpenID support. Using this user can login into Providers which uses OpenID standards. Added ADFS and AWS Cognito as default apps and custom OpenID app. Setup guides are provided to configure default applications easily. Released a new version for WordPress SAML SP free plugin with compatibility with latest XMLSeclibs SAML library (version 3.0.1).Added the visual tour to get familiar with plugin features and support. Revamped the plugin UI and few new features. A version with support for OpenID authentication has been released. ADFS and AWS Cognito have been added as default applications and custom OpenID too. Added configuration guides for default applications. First release of OAuth Client module for Drupal7. OAuth Client module for Drupal allows you to login into your website with Google, Facebook, Twitter or any other custom OAuth providers. miniOrange OAuth Client module works with any OAuth provider/server that conforms to the OAuth 2.0 standard. Added multiple Identity Provider support in the plugin. A list of all IdPs configured in the plugin will be shown on the login page. From the list, you can select one of the IdP and invoke SSO. You can even set domain names based on different Identity Providers. Based on the user email entered in SSO, the IdP identifies where to redirect. Released a new version with some fixes and improvements in existing flaws. With GDPR Compliance users will be asked to give consent before using Social Login. Users who will not give consent will not be able to log in. This setting stands true only when users are registering using Social Login. This will not interfere with users registering through the regular WordPress. A new version of our On - Premise IDP has been released with new features and some flaws improvements. A new version with OpenID provider support has been released. 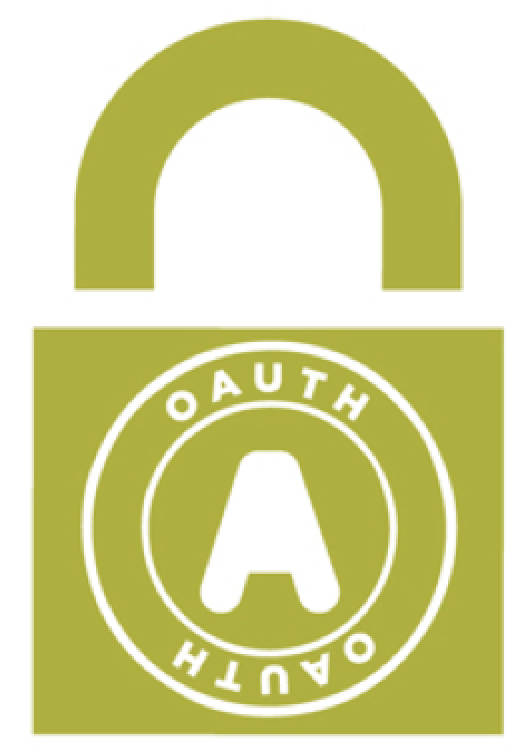 The OAuth client's enterprise version supports the simultaneous configuration of several OAuth and OpenID providers. miniorange has just come out with the first version of its LDAP Proxy! It resides in the "Demilitarised Zone (DMZ)" between a cloud-based application and an internal LDAP, and is responsible for forwarding LDAP requests from the application to the on-premise server. This allows the application to access the proxy for LDAP integration, whilst the internal directory remains unexposed within the network, creating an overall higher level of security. Out latest tool now allows Two Factor Authentication for the Windows Remote Desktop Service, for users logging in using the Remote Desktop Client or their RD Web Client. We've just released an enhancement concerning the user "re-verification" feature. Administrators are now provided the option to manage and send multiple notifications to users, to "re-verify" themselves. miniOrange has just come out with our OAuth Client BitBucket Connector! Users can now deftly and securely log into their BitBucket Server using G-Suite, Slack, Discord, Windows, and a variety of other custom OAuth Servers! With this latest release, users can log into the VPN using their existing LDAP or Active Directory credentials! Multi-Factor protection for VPN login is now enabled, along with the support of over 15 authentication methods! We have just released a new Add-On to the SAML Plugin, enabling User Provisioning from all Identity Providers that conform to the SCIM standard! miniOrange has just come out with our OAuth Client Bamboo Connector! Users can now deftly and securely log into their Bamboo Server using G-Suite, Slack, Discord, Windows, and a variety of other custom OAuth Servers! miniOrange has recently launched our OAuth Client Plugin for Joomla, which allows users to log in with their OAuth Server accounts, including Google and Facebook. 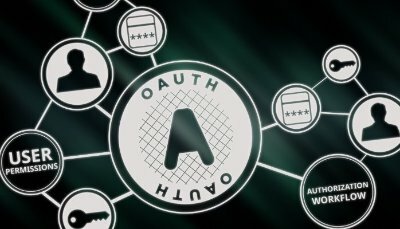 The plugin works with any OAuth provider that conforms to the OAuth 2.0 standard. It consists of various other features such as OpenID Connect Support, attribute mapping, role mapping, user login reports, as well as login and logout options, all according to your needs. miniOrange has just announced its support for adding a RADIUS Server as an authentication source, while retaining the functionality of all our existing Two Factor Authentication Methods! 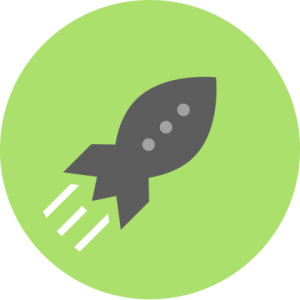 miniOrange launched the first version of its OpenID plugin for WordPress! This plugin works with any OpenID provider that conforms to the OpenID Connect 1.0 standard. Clients can now verify the identity of the End-User through an authentication procedure performed by an Authorization Server. They may also obtain basic profile information about the End-User in an interoperable and REST-like manner. miniOrange introduces our OTP verification module for Joomla! Administrators can now verify the validity of their users' email addresses by sending a Verification Code (OTP) during registration. It removes the possibility of a user registering with a fake email address by confirming its existence, as well as the ability of the user to access it. Read more about it here. The miniOrange Identity and Access platform has recently gained over 100,000 SMB customers worldwide! miniOrange has been identified as one of the best Indian software companies, based on its high levels of customer satisfaction and a superior Single Sign-On platform. 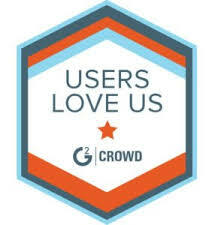 G2 Crowd users highly recommended the platform to their followers. Introducing our first ever On-Premise IDP Server! It's fully centralized and makes managing and synchronizing your various identitites simple. The IDP is designed as a unified platform for all your Identity and Access Management needs, by combining a variety of functions into one featureful product. Integrate it easily with any system and enhance capabilities with connectors. Introducing miniOrange as a WS-Federation Server. miniOrange now supports the WS-Federation protocol, allowing Single Sign-On between legacy applications that also aupport it. miniOrange can also now leverage existing ADFS infrastructure over the WS-Federation protocol. 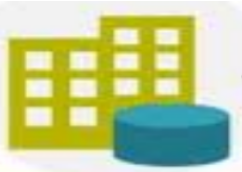 Applications' protection is greatly improved by adding a second layer of security. Added the "Advanced Weight" feature into our Risk Based Access (RBA) tool. From this implementation, administrators can now apply "Weightage" to each user attribute so that access-related decisions can be made in real time. This helps in easing the authentication process for low-risk access, challenging high-risk access requests, or blocking access entirely. Announcing the OAuth Client Connector for JIRA! This new product supports login to JIRA Servers with G-Suite, Slack, Discord, Windows, and various other custom OAuth Servers. Cloud, mobile and on-premise applications are under attack at an alarming pace. Predominantly protected only by a mere username and password, these applications prove to be easy targets. miniOrange can strengthen the protection of these applications without being inconvenient to apply, by implementing our Risk-Based Access (RBA) function. This focuses on typical access patterns and user behaviour across cloud and on-premise applications, and utilizes that information to create a more secure experience. Our Identity Broker service is now highly secure, with the addition of Risk-Based Access, Two Factor Authentication and IP Restriction. With this latest addition, the miniOrange Identity Broker now allows users to benefit by imposing Single Sign-On into their SAML-enabled Server Provider application. Using credentials from social networks or an OAuth provider, users can swiftly log into their desired application. 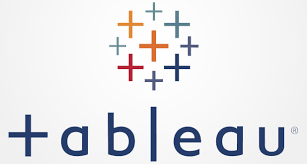 Logging into Tableau LMS has never been easier! Using SAML Single Sign-On and miniOrange as the IDP, we make this process efficient and helpful. Find a detailed explanation here. miniOrange has released an “Authenticator” application for Android. Supporting QR Codes, Push Notifications, and Soft Tokens, the product is a practical approach to Two Factor Authentication. Our new WordPress OAuth Server Plugin makes WordPress the OAuth 2.0 Server, and protects the WordPress API with OAuth Protocol. The product presents a way to use Single Sign-On for users to log into OAuth client applications with their WordPress credentials. Try it out here. miniOrange is now a SAML 2.0-Compliant Identity Provider, allowing for Single Sign-On implementation for Office 365, SharePoint, and numerous others. 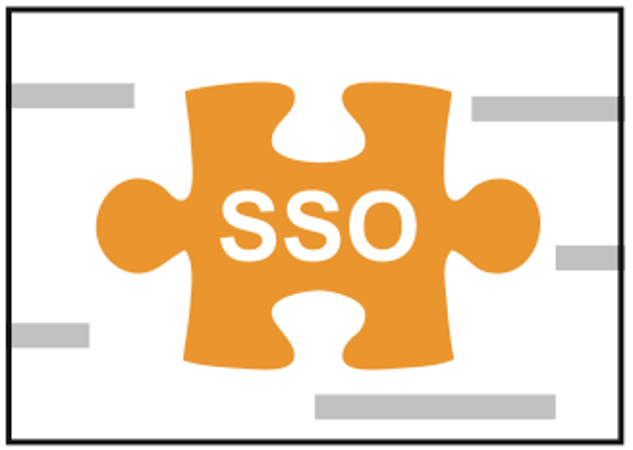 miniOrange introduces the Single Sign-On connector using SAML for a variety of Atlassian-developed products. It enables Single Sign-On in: JIRA, Confluence, BitBucket, Bamboo, FishEye and Crucible. miniOrange introduces their OAuth Client for WordPress, which supports SafeIX, Discord, Slack and many other OAuth providers and servers. This article outlines various attacking techniques, as well as organizations created as obstacles to them. It talks about buzzwords that will be supremely relevant in the year of 2017, and throws light on the present circumstances concerning Cyber-Security. Click here to read the article. This article discusses the most prominent cyber-attacks of the year of 2016, especially those relating to RansomWare and IoT. Click here to read the article. At a meeting organized by "The Times Group" in Pune, our CEO, Anirban Mukherji, took to the panel as a key speaker concerning critical data and its protection in the workplace. HAKA is the primary identity federation for higher education and research institutions located in Finland. With the miniOrange SAML Plugin, it is now possible to configure multiple IDPs registered with HAKA. Users can now easily authenticate without using external software. By acquiring user details, the ability to enable the auto-provision of users is now catered for! To find out more, click here. miniOrange has now developed a product allowing users to configure their application to become an OAuth Client, but still use SAML-Compliant IDPs (e.g. ADFS) for authentication. By facilitating the integration of custom applications by making them OAuth Clients, and using a SAML-Compliant IDP for authentication, the tool enhances productivity without sacrificing security in the best way possible! Read more about it here. We now support Multiple-IDP configuration. This allows a group of users to authenticate with different IDPs. Often, users are distributed across a variety of IDP servers, and the product proves useful in this scenario. 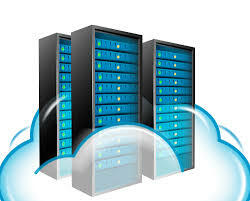 Multisite provides usersthe ability to create a network of sites through a single installation. We have added Multisite support to all of our WordPress plugins. Without Multisite support, separate Identity Providers and Service Providers would have had to be set up for each site. By now rendering this step unnecessary, Multisite proves incredibly useful in removing user hassle. To find out more, click here. The miniOrange Identity and Access platform has recently gained over 20,000 SMB customers worldwide! miniOrange enhanced its support for the Drupal CMS by integrating our Two Factor Authentication feature with it. Customers began registering almost immediately from Drupal, proving the need for the product. miniOrange has just released a Single Sign-On plugin for one of the world's most popular CMS platforms: Drupal! 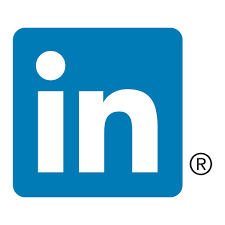 A few of our recent customers include: Intel, Renault, UNICEF, Fox, the United Kingdom Government and Harvard University! miniOrange boosts its support for the Magento CMS by integrating its Social Login feature with the Magento platform. Customers began registering for it almost immediately! The miniOrange team has recently published its Single Sign-On plugin for one of the most popular CMS platforms wordlwide: Joomla! Customers are now continuously enrolling themselves without support across the board: Single Sign on, Social Login, Two Factor Authentication, Active Directory/LDAP Authentication! The miniOrange Identity and Access platform acquired over 1200 customers worldwide, entirely in the space of two months (July and August, 2015). 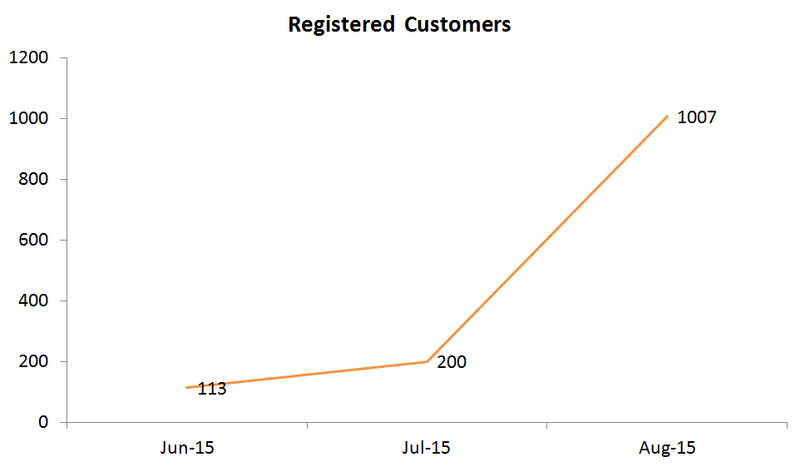 The rate at which we're acquiring customers is increasing by around 500% each month! 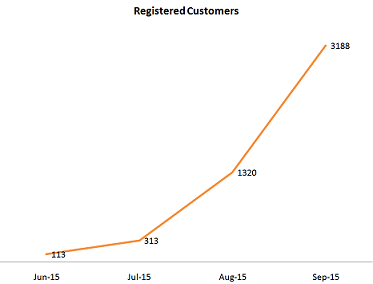 In July, user count was 200, and by August it soared to approximately 1000! miniOrange has just released a plugin for Two Factor Authentication in one of the most popular E-Commerce platforms: Magento! This article focuses on the concept of "Bring Your Own Identity" and how it could be utilized to enhance cloud adoption. In July of 2015, the APIs of the miniOrange Authentication Platform were enhanced and additional solutions were created for customers moving to the cloud. 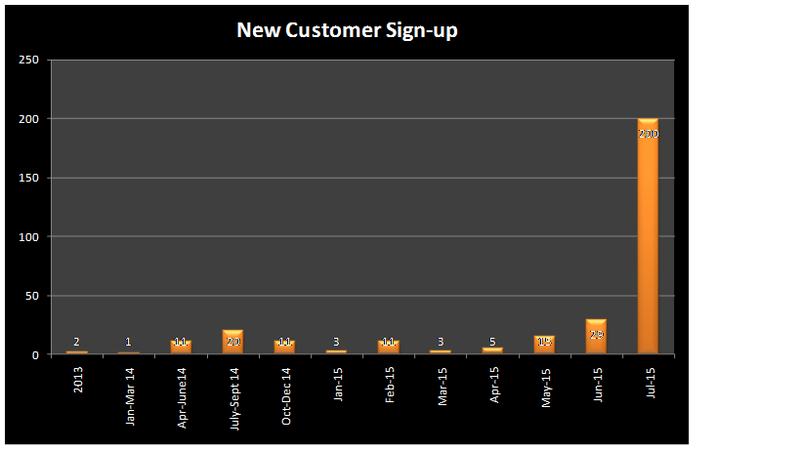 As a result, the rate of new sign-ups have soared. In order to establish trust between various different parties that want to use the online identities of one another, there are a wide range of standards that have been developed, including: SAML, OpenID and OAuth. In the face of these useful yet complex protocols, businesses falter in understanding and implementing them correctly. Identity brokering is a highly convenient service that provides a solution to this. The article explores the tool and explains its purpose in the world of security. Read it here. In the past month, the number of BETA customers has doubled! The 170th BETA customer has just registered! - Single Sign-On to WordPress using any SAML Identity Provider of your choice. This includes Okta, Ping and 25 others. miniOrange has recently acquired its 85th BETA customer! The Internet contains a gargantuan number of websites. A Content Management System (CMS), such as WordPress, Drupal or Joomla, helps to create and manage sites easily. In fact, that majority of all websites have been created with the help of these CMSs. As they grew, developers create plugins to improve certain lacking aspects. Security is no exception. Plugins for security on these CMSs are plentiful. However, they all have the inherent issues of being specific in their domain (resulting in unbalanced security), unable to integrate with other plugins, and have an absence of support. This article considers these problems and presents miniOrange's versatile solution! Click here to read it. Salesforce, being a cloud computing company, regularly employs high-end security models to ensure the protection of its data. However, it is unheard of for Salesforce to be the only cloud application used by companies. Studies show that the majority of companies worldwide are using between 10 to 40 applications every day. Attackers will merely choose that which is easiest to penetrate. This article talks about this issue and how miniOrange has been hard at work creating a working solution! Click here to read it. The miniOrange team has enhanced the user experience for its product suite. It now provides a more responsive and intuitive design for both the administrators and end users of the system. Financial and educational institutions, law firms, healthcare groups and insurance companies are all examples of groups around the world that use Google Apps. Their security needs to be shielded from attackers because the effects of such an attack could be devastating. miniOrange, recognizing this, now provides a cloud-based authentications service that can be deployed to an organization in minutes! The article dives into this subject, and provides an analysis of our solution. Click here to read it. miniOrange has recently acquired its 70th BETA customer! miniOrange's fifth production customer has just rolled out! In the recently concluded RSA conference held at San Francisco, industry experts such as Ira Winkler discussed the attacks conducted on Sony, Target, and other organizations. The common theme that emerged from these sessions was that multi-factor authentication must be used extensively to prevent these kinds of attacks occurring. The miniOrange Authentication Platform is a great tool to apply just that! Read the full article by clicking here. The annually held RSA Conference is helping drive the information-security agenda worldwide! miniOrange was a part of it this year while it showcased its Authentication Platform and Services to the diverse community in attendance! miniorange is now integrated via SAML with a wide range of enterprise applications including Freshdesk, Thousand Eyes, Bonusly, Zendesk and AWS, among others! StartupBootcamp Pitch Days are informal events that are part of the screening process for the main event. Instant feedback is given by panel of mentors. miniOrange presented their platform and services to the panel recently, to garner some outside feedback. SC Congress is a dynamic conference that aims to amplify the latest in cybersecurity for CISO's, CTO's, and industry professionals. miniOrange was present and displayed its platform to the attendees. miniOrange has recently acquired its 50th BETA customer! miniOrange has recently integrated Dropbox with its Authentication Service, providing enterprises secure accessibility and complete control over applications. By implementing our Single Sign-On service, logging in with a single set of login credentials is now possible for our users! At the DreamForce conference, leaders and analysts explain the changing landscape of IT. miniOrange was in attendance, and utilized the opportunity to showcase its Authentication Platform. This New York based conference deals with current security issues including email security, VoIP, LAN security, and more. Several industry experts, along with around 30 vendor exhibits, were present. miniOrange, being one of them, took advantage of the rich environment by displayng our platform. miniOrange has just integrated Office 365 with our Authentication Service! This new release provides users and employers a much more secure way to access it. miniOrange has recently acquired its 25th BETA customer! miniOrange has just rolled out its first production customer! miniOrange has just integrated Salesforce with our Authentication Service! This new release provides users and employers a much more secure way to access it. miniOrange recently integrated Google Apps with our Authentication Service! This enables enterprises to have absolute control over access to Google Apps. We have also implemented Single Sign-On into it, providing a more secure and faster login process. We have just released our "I'M ME" application for Android and IOS! Users can now support stronger authentication methods, including: Push Notifications, Soft Tokens, Voice Authentication, and Mobile Authentication. miniOrange has recently acquired its 1st BETA customer! The miniOrange Strong Authentication products are now available for the cloud! The miniOrange Authentication Service is now released for cloud! Our first available authentication method is: "OTP Over SMS". miniOrange began here! 6 years and counting!